A Peace News book by David Gribble. Children are not born evil, and do not need to be “educated” to become good. In fact they are actually taught to suppress their natural altruism, and suffer a decline in morality as they grow up. So argues renowned educationalist David Gribble, 77, after a lifetime spent teaching in libertarian schools. 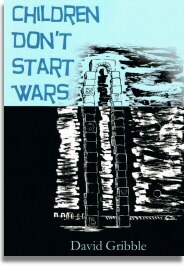 'Children's Don't Start Wars' overturns the conventional idea that adults have a monopoly on wisdom and that children's opinions are not to be taken seriously. Children Don't Start Wars. Can adults learn from this simple fact? Price includes P+P for UK shipping only. For international shipping, add £3.75.